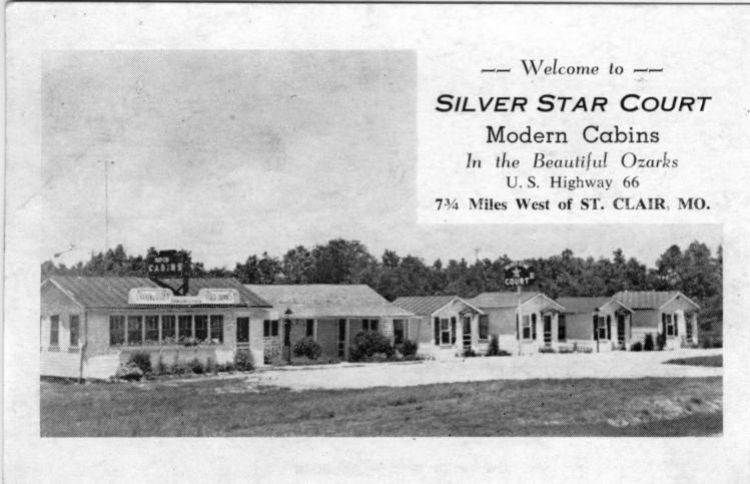 Silver Star Court was famous for putting a twist on the venerable roadside snake pit. It was the home of "The Snake Man". He lived in a hole for 30 days at a time with his slithery friends. Visitors paid a quarter to watch through a glass cover, often seeing him pick up rattlers, and squirt venom on the glass. The court was torn down in the 70's.